Can You be Allergic to Your Own Sweat? Can a Person Be Allergic to Their Own Sweat (Cholinergic Urticaria)? Cases have been reported where people are known to have allergic reactions to their sweat. As absurd as it may sound, the condition exists and is known as cholinergic urticaria. It is a condition or disease caused by the immune system of a person. It causes the skin to become sensitive and allergic to the sweat. The disease is brought about due to stress, exercise or heat. While the disease is rare, it is still known to affect around 10 percent of the population of young adults. The symptoms are triggered by variations in the overall body temperature, which eventually results in sweating. The perspiration causes the individual to develop allergens on the skin, which results in a kind of allergy. The term “cholinergic” refers to a certain kind of chemical that is present in the nervous system. It is released during nervous phases and starts off a hives response. The term “urticaria,” on the other hand, is used to describe a stinging feeling similar to needles being poked onto the skin. It refers to the allergy caused by one’s own sweat. Researchers and scientists tend to be unsure as to what exactly causes cholinergic urticaria. It could be possible that the condition comes about as a natural allergy to one’s own sweat. This is the case with specific people and their immune systems. 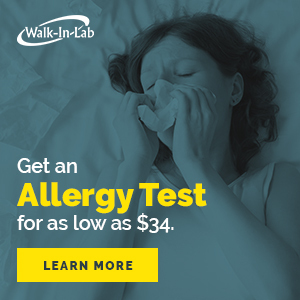 Various other studies and research also suggest that it could be possible due to an allergen being developed due to a blood disorder or some other unknown disease or cause. The work being done so far has not been conclusive, so the medical world is yet to understand the core cause of cholinergic urticaria. However, while doctors have not been able to trace the cause yet, they have begun to understand the reasons behind the condition and the biological working of the cells during an allergy reaction. The condition is mostly caused by a major change in the overall body temperature. When this happens, the reaction causes a breakdown of cells within the person’s immune system prior to the release of sweat. The chemical released is known as acetylcholine, which eventually triggers an allergic reaction on the skin. Given that there hasn’t been any significant conclusion that has been reached in the medical world, doctors are yet to find a cure that works. As of now, treatments are more about preventing the problem as opposed to curing it. Treatments that involve changing lifestyle in terms of diet, therapy, etc. Cholinergic urticaria is known to be a condition that changes with different seasons and regions. Individuals may be extremely sensitive to sweat in a certain season or within a specific region, whereas the sensitivity may decrease if they move to another climate. Various other factors affect the intensity of cholinergic urticaria as well, making it difficult for doctors to find or implement a permeant treatment. It is not a deadly or terminal disease and does not come with extreme dangers. It is known to vary with intensity over a period of time. People may experience the disease for a certain amount of time or it may last for up to a lifetime. In very rare cases are people with this problem put in a danger zone if their skin reacts strongly to their sweat. At such times, a doctor is to be contacted immediately. However, this is a very rare case and most people are not at risk of experiencing it. Since doctors have not yet understood the root cause, it is difficult to try and avoid the condition. Only around 10% of young adults in the world are at risk of developing cholinergic urticaria. The main triggers are related to the body temperature and heat. Therefore, in order to avoid the condition completely, it is best to understand its symptoms and act immediately when they are noticed. The area of the skin swells and a redness develops in the spot around it. The patient may experience a feeling of itching, burning, or stinging on the skin which can be best described as being pinched or stung by needles. Heat rashes develop on the skin from time to time which is similar to hives. The sweating ability is decreased with the patient not being able to perspire properly. Tiny marks are left as temporary scars. Once someone knows the main symptoms, they would be able to act immediately if the condition does come about and get the treatment they need. Early treatment and identifying the issue can help treat the problem before it worsens. What Allergies are The Most Popular Types? Is It Possible to Be Allergic to Sweat? Do You Have a Cold or Allergies? Can You Have an Allergy to Milk But not Cheese? Are You Allergic to Gold or Nickel in Jewelry? What Does it Mean When You are Sensitive to Ocean Water?